I’m Rosanna – a mom of three, small business owner, author, and explorer. 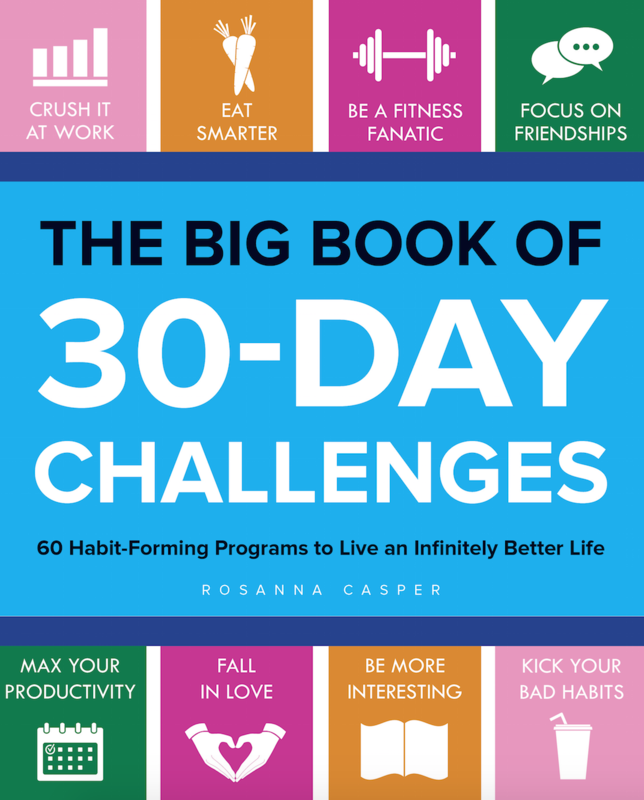 I started experimenting with 30-day challenges in 2014. From learning to meditate to hacking sleep, learning the guitar or trying to hold a 15-minute plank (you know, just to see if I can), I’ve explored things that help me build better habits, get healthier, more productive, creative and inspired. Since I began this journey, I’ve had a baby, started a small business, written a book and moved across the country, and I did my best to continue my challenges and write about them. Not all challenges have been successful, and not everything I’ve attempted has turned into a habit (although many have). But I have learned how to follow through on the things I set out to do – even when I didn’t want to. My hope is that my successes and failures can inspire you to make your own positive changes. And you can give yourself permission to explore and try things out and step out of our comfort zones, one day…or month… at a time. Come and join me on this journey. If you haven’t already, do sign up for the newsletter (it’s free) and I’ll send you a list of 100 30 day challenge ideas that you can try out for yourself! Link not working? Click here to sign up.